The complex of the ancient Agora was situated in the heart of Roman Thessaloniki, it occupied a surface of about twenty acres and constituted for three centuries – from the end of the 1st century A.D. till the end of 4th -early 5th century A.D- the city’s administrative centre. The Agora’s facilities had been developing around a large, rectangular, paved square of 146 meters length and 97 meters width. 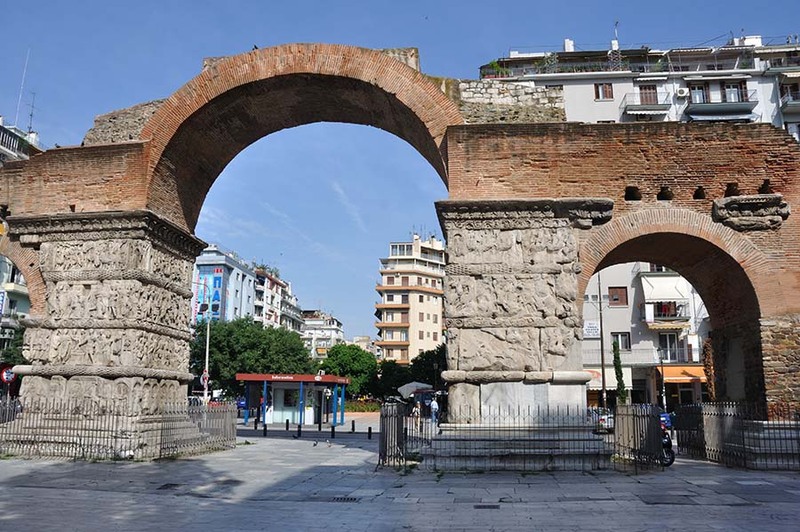 Along with the three sides of the square, the eastern, the southern and the western, there were double lines of Corinthian order’s columns that formed arcades; behind the arcades, there were different kinds of public areas, serving various needs of Thessaloniki’s citizens. The square’s northern side – though not preserved today- has not undergone construction works .The square took therefore the shape of a Π, open to the north. In Agora’s eastern wing, one could find public buildings hosting the public library, the mint as well as the city’s registry. There was also a theatre with a double function, firstly as an assembly-conservatory, destined for the reunions of Thessaloniki’s magistrates, and secondly as a meeting place for cultural events, such as poetry recitations, music contests and drama performances. Moreover, in its southern wing, there was a double underground domed gallery that had possibly been functioning as a depository as well as another shopping area. Finally, in its western side, which has not survived nowadays, there were possibly basilicas and tribunals, but also special rooms for land registration, citizens’ protection, trade of merchandises, control of the commerce and catering for the poor. 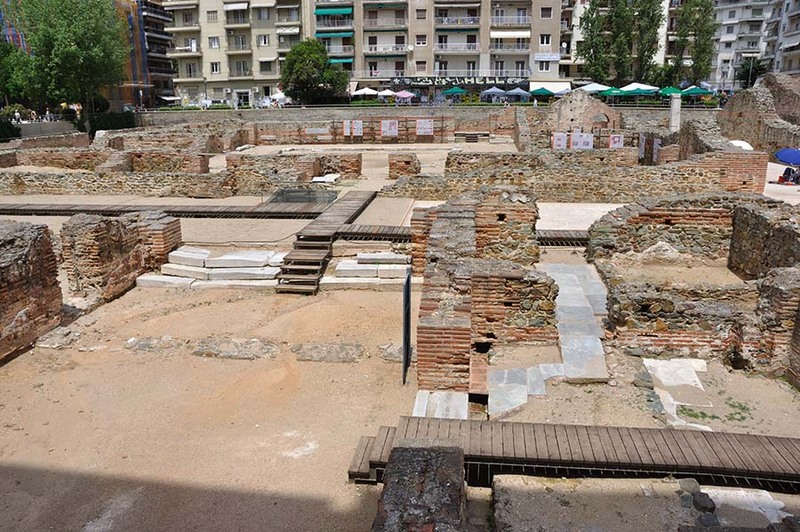 The Ancient Agora of Thessaloniki used to be a majestic and impressive lively complex which brought together all the aspects of citizens’ social life. Nowadays, this important place has not been preserved in its initial size; nevertheless, a large part of it, consisted of voluptuous building remains and traces have remained in Aristotle’s square axis as well as in the square surrounded by Olympou, Filippou, Makedonikis Amynis and Agnostou Stratiotou streets. Τhis area has concentrated scientific and archaeological interest and has therefore been restored, constituting an archaeological site, open to visitors. Furthermore, it is worth mentioning that two parts of the Agora are nowadays reserved for special purposes: the assembly-conservatory of the eastern side has been reconstructed and has been given for various cultural events to the public, while in its underground area, following the well known Cryptoporticus or Crypti Stoa (this is the underground gallery of the eastern wing), there is a hidden but interesting museum, dedicated to the long history and the archaeological findings of the whole site.